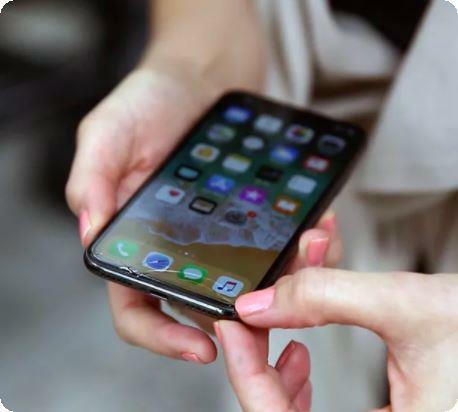 The $1000 iPhone X has shown disappointing results in its first drop and durability tests. Two different drop tests showed immediate damage to the device. Consumer electronics site CNET ran a drop test from a height of three feet. The glass at the corner of the phone cracked on the very first test, which dropped the phone on its side. A second test dropped the phone on its face, leading to even more fractures. CNET concluded that dropping the phone without a case is "out of the question." The damage CNET encountered was only cosmetic — a more extreme drop test from SquareTrade showed damage to functionality as well. SquareTrade is a company that offers protection plans for mobile devices, so it should be noted that the company has an incentive to convince consumers that their devices may be at risk. With SquareTrade, each test was performed by a robot or other mechanical apparatus designed to produce consistent circumstances for testing across devices. The face test dropped the phone from six feet onto its front, and the phone's screen and TrueDepth sensor array became unresponsive. A drop from the same height that landed the phone on its back shattered the glass back. The side drop test in the same conditions also rendered the screen inoperable. The phone next failed SquareTrade's tumble test, which puts a device in a washer or dryer-like tumble for 60 seconds. The result was a phone that couldn't perform its swipe-to-unlock gesture anymore. Finally, the company's shot test simulated the phone falling from the top of a car when the car begins moving—presumably a somewhat common occurrence when someone forgets their phone after loading the car up with groceries. In this case, the iPhone X cracked on both the back and the front, and Face ID stopped functioning. The iPhone X fared better in a dunk test, however; it survived for 30 minutes while completely submerged in water. The results led SquareTrade to name the iPhone X the most breakable iPhone it has tested based on a methodology that scores devices on their breakability. The biggest problem with those tests, though, is that six feet is higher than most people would commonly hold their phones. Adding to fragility concerns, the iPhone X's OLED screen is more expensive to replace than the LCD screens on other iPhones. Apple's one-year warranty doesn't cover accidental damage, but AppleCare+ might be an option. That extended coverage plan covers two accidental damage incidents at a reduced cost compared to what you'd face on the warranty. Some of the damage in these tests is a result of the iPhone's glass construction. Apple went with a glass back on the iPhone 8, iPhone 8 Plus, and iPhone X in part because the aluminum used in the iPhone 7 could be a barrier to the new wireless charging feature. What to do? Get a case! 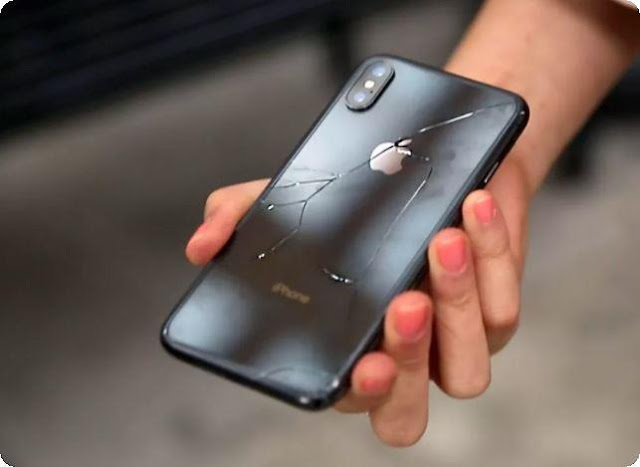 "If anyone is concerned about dropping their iPhone and damaging it, we suggest using one of the many beautiful cases available to protect iPhone."